Does Thanksgiving Turkey Really Make You Sleepy? What Are Five Common Substances That Are Considered Organic Chemicals? 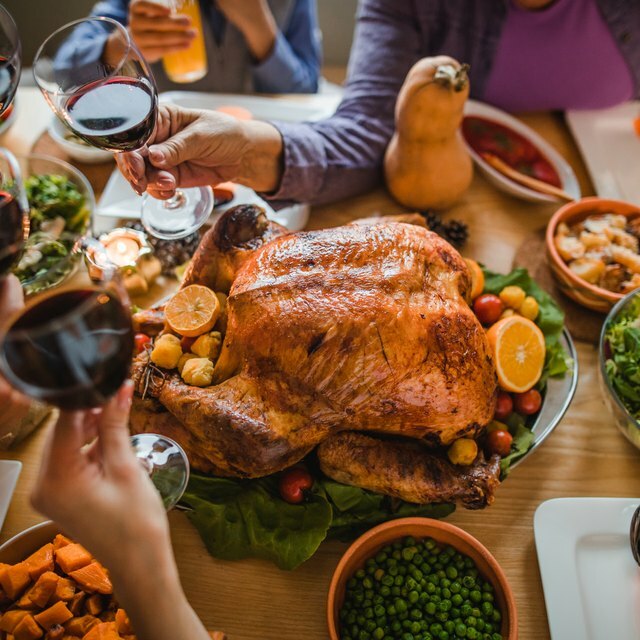 It's nearly Thanksgiving, and if you're preparing the whole meal or simply bringing a side to your family's usual feast, you might have a little anxiety about making sure your cooking turns out OK. After all, nobody wants to be the one who brought the gluey potatoes. But don't worry, you can actually use your science know-how to create a tastier meal. While you might think of cooking as an art (and it is! ), it's also a giant chemistry experiment. Your ingredients (the reactants) interact with each other and with heat to transform into yummy meals (the products). And that means your chemistry knowledge can come in handy in the kitchen. Specifically, science will help you make tastier turkey and yummier Thanksgiving side dishes. Here's how. Fluffy and buttery mashed potatoes are a staple at any Thanksgiving feast. And while mashed potatoes sound simple, they can go so, so wrong. The reason? Starch. Potatoes are naturally loaded with starch, which is part of what makes them so delicious. But you need a light hand when mashing your potatoes, or the starch can turn them from fluffy into a gluey mess. Gentler methods of mashing, like using a potato ricer, leave the starch molecules mostly intact. The oil and butter in the potatoes coat the starch granules, so the starch won't clump together, and your potatoes stay light. Use a food processor or blender, though, and you'll start breaking down the starch molecules. The butter won't be able to coat the starch molecules, and they'll start to adhere to each other, yielding sticky or gluey potatoes (yuck!). So pick up a ricer for the nicest potatoes. And if you're mashing with a hand masher, don't overdo it – stop as soon as they're mashed to keep the starch intact. Bringing sweet potatoes to your Turkey Day dinner? Avoid bland, cardboardy 'taters and bring out the sweet potatoes' natural sweetness by baking them in the oven. Lengthy roasting times yield sweeter sweet potatoes because of an enzyme, called amylase, that helps break down starch into sugar. Like any enzyme, amylase works best at certain temperatures – and, specifically, it works best at 135°F and 170°F. When you roast your sweet potatoes under low heat (350°F or lower), the sweet potato spends more time in that 135°F and 170°F sweet spot, and gives the amylase more time to break down the starch. So you should notice sweet potatoes baked in the oven taste much better than microwaved varieties – worth the effort for a yummier Thanksgiving dinner. Okay, so it's not exactly a secret that salt makes things taste good. But did you know it's also the secret to getting a moist juicy turkey rather than a tough, chewy mess? The difference comes from its effect on the protein found in the turkey meat. Turkey meat – any muscle tissue, really – is loaded with two proteins, called actin and myosin. As the turkey cooks, these proteins denature. If you leave the turkey to cook too long, they'll start to coil together and push liquid out, yielding a leathery meat that absolutely no one wants for dinner. Infusing the bird with a sodium solution (like broth or brining liquid) helps shift the pH of the turkey as it cooks. That creates more space between the protein filaments, leaving room for moisture to stay within the meat. The bottom line? Either brine the turkey yourself, or buy one infused with sodium phosphate or broth. And pick up a fresh bird – since water expands when it freezes, ice crystals within the turkey rupture the muscle cells, so they lose moisture faster. Now, deciding who gets to keep those yummy leftovers? You're on your own with that one. Can You Feed Salted Sunflower Seeds to Birds? Tremblay,, Sylvie. 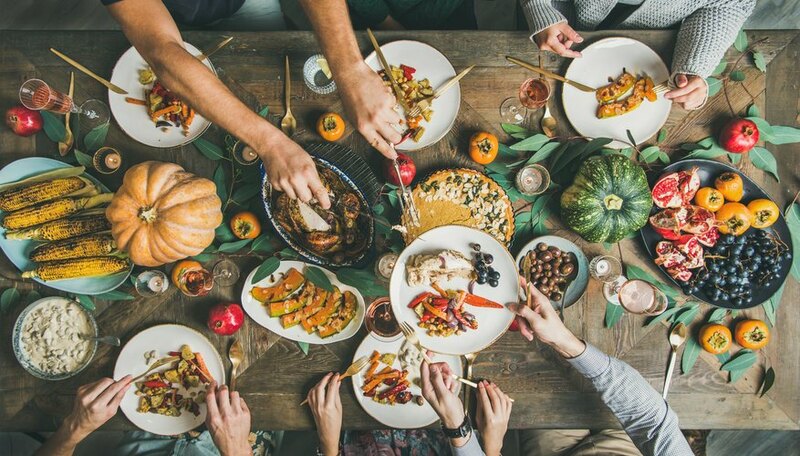 "3 Simple Science Hacks to Make Your Thanksgiving Meal Tastier." Sciencing, https://sciencing.com/3-simple-science-hacks-to-make-your-thanksgiving-meal-tastier-13715431.html. 16 November 2018.